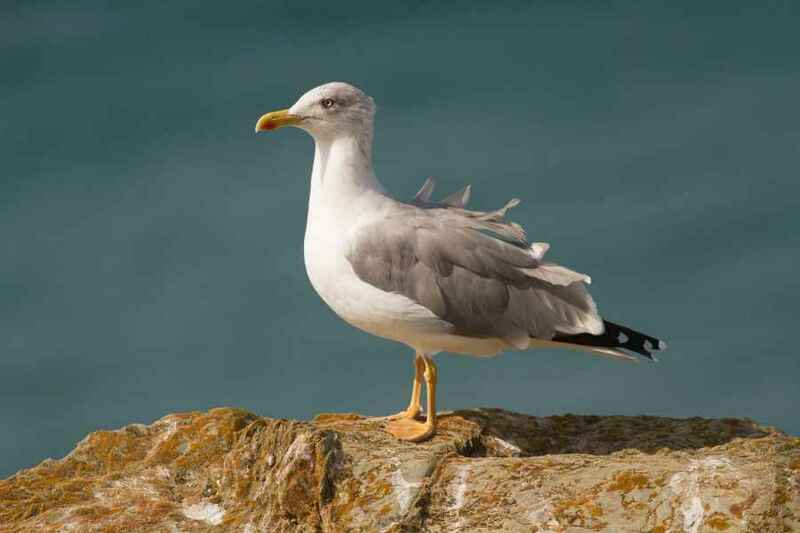 This species is seen throughout the year but is many times more common during the winter months. It can be - what am I saying? 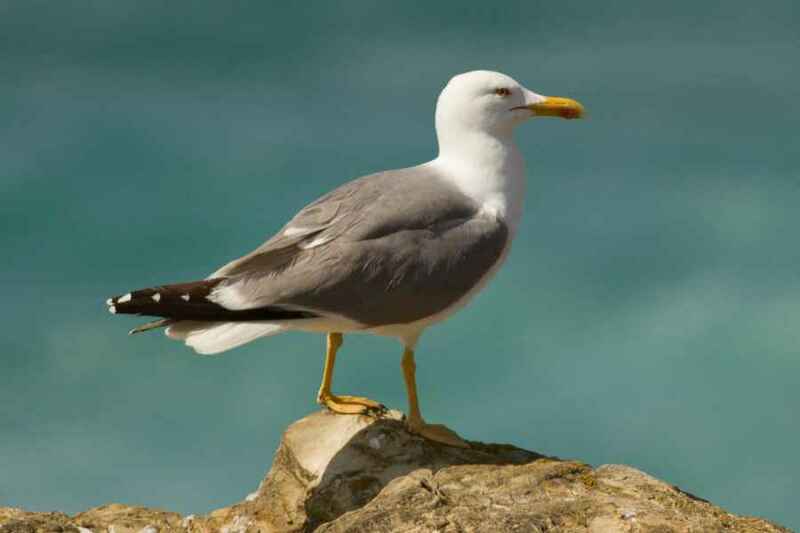 - it IS very, very difficult to tell apart from a Yellow-legged Gull, especially when adult, but there are some pointers ... firstly the beak has a much smaller gonydeal angle, (the projection on the lower mandible), and can almost be mistaken for having a straight lower mandible. 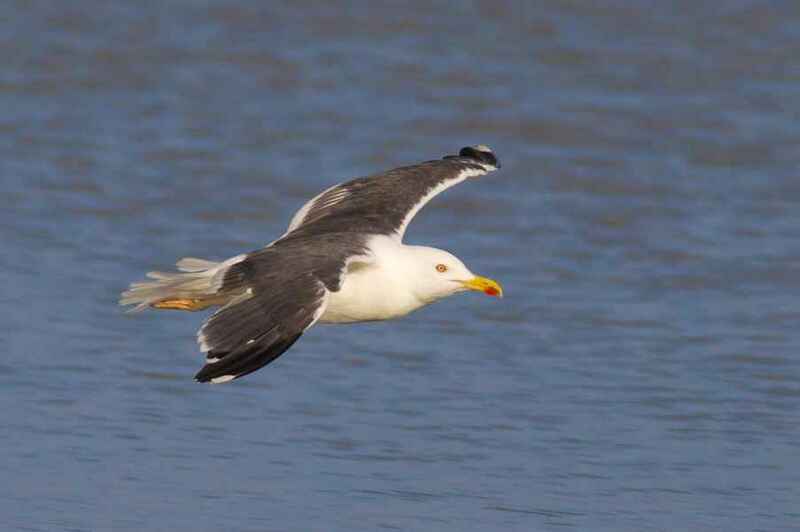 Secondly the Lesser Black-backed Gull has a slightly darker back and upper-wing surface than the Yellow-legged, and, though this can be difficult to spot in the field against the light etc etc, when stationary the white tertial crescent is more striking due to the darker back. 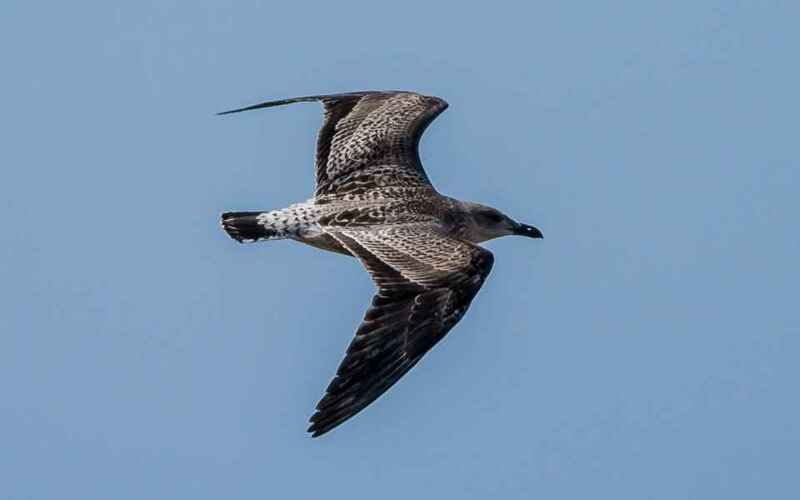 Thirdly, and again this can only be studied when the bird is stationary, the primary projections usually show fewer windows in this species than in the Yellow-legged. What more can I say apart from wishing you the best of luck if trying to tell these species apart!